There will be ten girls returning in 2019 that qualified for State last year. Among those ten are four returning State Medalists. There really isn't a clear favorite, and this race really could go a number of different ways. Addie Coppinger is the top returner from last year as she placed forth at State with a time of 2:15.81, which is also the fastest returning time in Class 5. 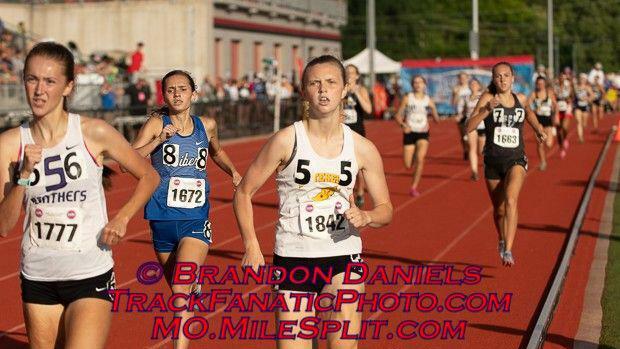 Finishing just behind her was Madelynn Hill of Liberty who was with 5th with a 2:15.83. Lee's Summit West is sure to have people up front as well off of that sub 9:00 4x800m from last year. Audrey Parson placed 7th at State last year and had a season best of 2:18, while Madison Hulsey split 2:12 in the 4x800 at New Balance Nationals if she ends up running the 800m in the State Series. Below you can find my subjective rankings and honorable mentions in the Class 5 Girlss 800m.